Cut and glue. 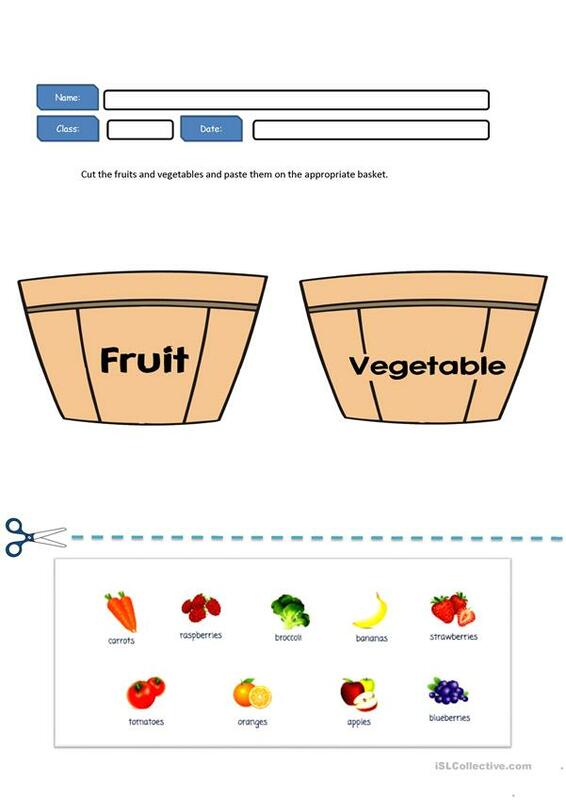 It's a very simple worksheet for primary students. You can change the images (I know that they aren't perfect) but the idea is to let them speak. Where do I place "strawberries"? Fruit or vegetable? The present downloadable worksheet is a great resource for kindergartners and nursery school students at Beginner (pre-A1) level. It is useful for improving your class' Speaking skills. It centers around the theme of Food.